The 2nd in a series of 3 studies of Whippets looking to the sky. 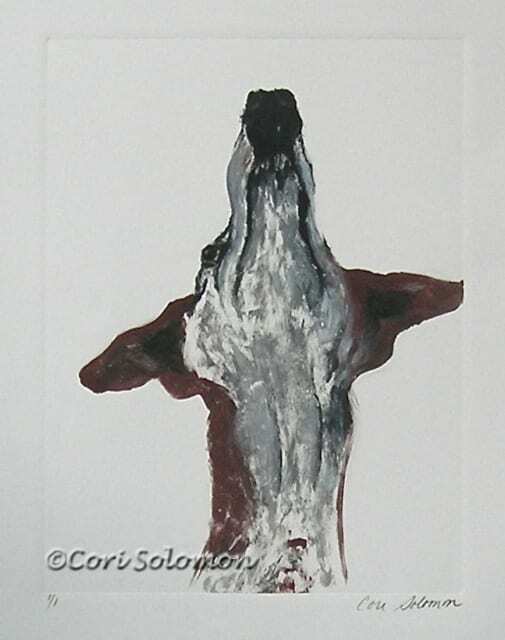 This framed Monotype shows the strong, long and elegant neck of the Whippet. To purchase this Whippet hand pulled print email Cori.